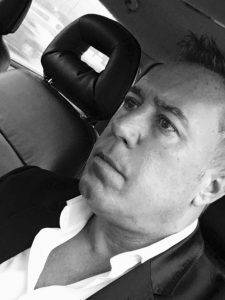 A very warm welcome along to my website which will hopefully give you some idea of my experience and passion as a producer and musician. Although by no means completely comprehensive, you will find a wealth of variety in the links to some of the records that I have arranged, played and produced over the last 30 years or so. Some of the music you may well be familiar with and others perhaps not. 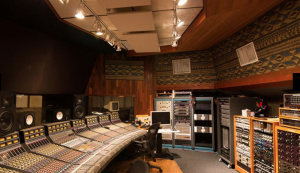 I have though, been most fortunate to work with some of the most gifted and well known artists, musicians, arrangers, and engineers through the course of my career. I hope you will take a little time to check out some of the tracks that I’ve worked on. 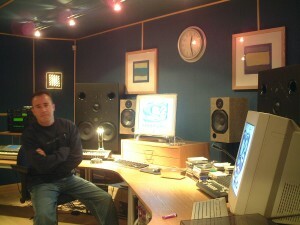 The Music Industry today is a rather different animal than it was when I began my professional career some 30 years ago. Formats and sales figures have changed and certainly the way that people consume music now is vastly altered. However, Music has always been about connecting with others and there is certainly no shortage of great young singers. writers and musicians out there waiting to be heard. It may well be increasingly difficult to break though or to make a living in music, but that doesn’t mean you shouldn’t follow your heart and your passion. I believe that if you work hard, learn your craft and of course, have ability, tenacity and soul, then talent will out. Keep at it! Just a quick update to tell you about a very exciting album project that has just been released. 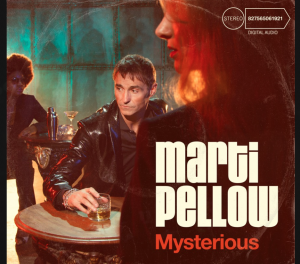 It’s a new album by Marti Pellow titled “Mysterious” which I have produced and arranged. I co-wrote all the songs with Marti and my old friend and wonderful singer songwriter Conner Reeves, and also the incredible Allee Willis (“September”, Boogie Wonderland- Earth Wind & Fire amongst many others). 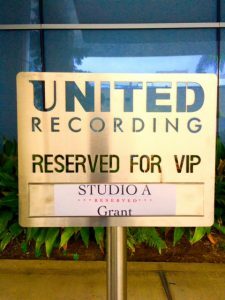 It was written predominantly in Los Angeles and recorded at Ocean Way Studios (now called it’s original name “United”)with some of the worlds finest musicians including the Tower Of Power Horns (Santana, Grateful Dead. Little Feat, Aaron Neville), the world renowned rhythm section featuring Lenny Castro (Percussion), Freddie Washington (Bass), Herman Mathews (Drums) and Dean Parks (Guitar), who have also worked with musicians as diverse as Quincy Jones, Michael Jackson, The Crusaders and Elton John. Truly, people at the very top of their game. Recording “Mysterious” in Ocean Way. 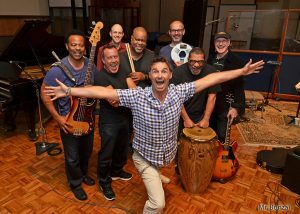 L to R- Freddie Washington (Bass) Me (Keys, Producer) Scott Moore (Assistant Engineer), Herman Mathews (Drums), Mr Pellow (shy and retiring singer) Ren Swan (genius Engineer and Mixer), Lenny Castro (Percussion), Dean Parks (Guitar). The Album has a very “retro” feel to it and I made a conscious decision to endeavour to keep the production techniques and arrangements rooted very much in a 70’s vibe. 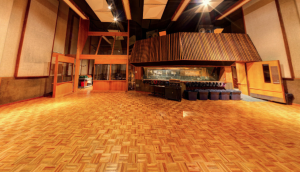 We were hoping to tip our hat to the glorious sounds of people like Earth Wind and Fire and Quincy Jones who has been an inspiration to me as an arranger and producer. It’s a very soulful, hot and also upbeat record. It really was an absolute joy to work on and the whole process of writing and recording happened very spontaneously and pretty swiftly. In actual fact, Marti and I had initially only planned to write a few songs for future recording, but because it happened so quickly and I was able to source the most wonderful musicians to come on board with the project, we just decided to go full steam ahead and record the whole album. Everyone who gradually came to the party was energised and inspired by the songs and the stellar company. I think it’s actually pretty rare these days to make an album like this, with people of this calibre and I believe that was reflected in the enthusiasm and performances that we captured in the studio. 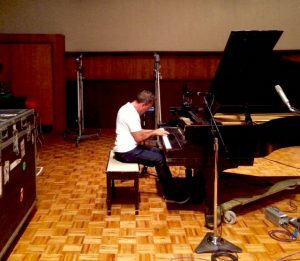 Me playing the famous “Frank Sinatra” Piano in the studios at Ocean Way, Los Angeles. It was an absolute joy to be part of, and interestingly, these legendary musicians and performers felt the same way. They were so very complimentary about the songs, the arrangements and Marti’s singing. 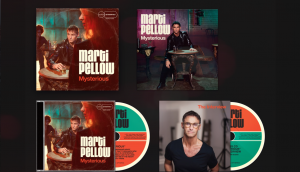 And it certainly helped to spur Marti and I on to complete this album…. Something we’ve been talking about doing for 10 years!! We are also now currently on a 10 date tour of the UK which kicked off last night in Carlisle. 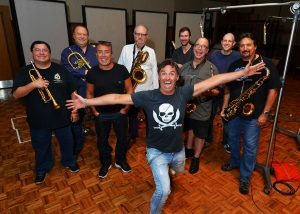 Marti is performing some of the tracks from the new album as well as re-worked versions of some of his older solo and Wet Wet Wet material which we’ve had great fun re-arranging for a stellar 9 piece band complete with a stunning horn section! I’ve out a list of the tour dates for Mysterious below. I do hope that some of you might catch the show. It’s tremendous material, brilliant musicians and great fun. The next single will be the title track “Mysterious” which has already been playlisted at Radio 2. This and the album in general has been receiving very favourable reviews so far and critical acclaim, although it’s very early days. 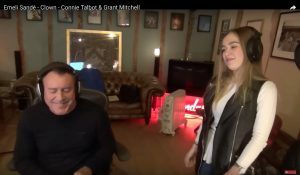 I’ve also been writing and working with an extremely gifted young singer-songwriter called “Connie Talbot”. 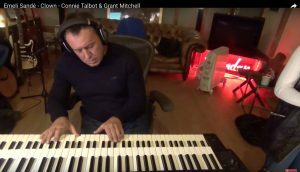 Connie actually won Britain’s Got Talent at an implausibly young age some 10 years or so ago and has now developed into a quite extraordinary talent. We wrote a couple of great songs together with my dear friend Mark (Kipper) Eldridge who is a very gifted songwriter and producer in his own right. Definitely someone to look out for in the near future. I am also lastly very thrilled and honoured to have been asked to be invited to act as a judge in the Ivor Novello awards for songwriting this year. I am. of course, sworn to complete secrecy, but it was a great privilege to be asked, and also good fun too. On the way to the Ivor’s judging. Please do also check out, if you can, another album that I recorded last year with my old musical partner and dear friend Julia Fordham – “The Language Of Love”. It really does have some beautiful performances on there and was recorded in Los Angeles with some of the worlds foremost musicians. It is largely a covers album, but with a twist. These are jazz re-interpretations of well known pop songs and Julia sings them so beautifully. Long time Julia Fordham fan although not a fan of Jazz I was somewhat surprised how much I absolutely loved this album. Beautifully produced and arranged tracks with stunning vocal performance. There isn’t much Julia Fordham can’t sing and sound like an angel. Perfection! Please everybody, buy this – you will not be disappointed. Loved Julia’s voice forever & it seems to be getting better. This is a brilliant album – superb arrangements, stunning vocals -superb! You’ll find some links to a few of the tracks on Julia Fordham’s “The Language Of Love” on my “Music Production Watch/Listen page.